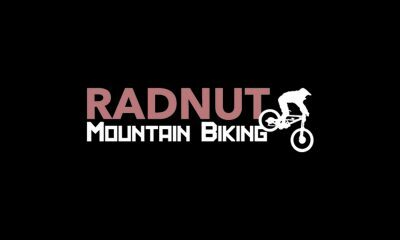 So you’ve bought a new mountain bike and you’re ready to shred. That’s awesome! But before you hop on your bike and head out, you should prepare yourself (a little at least). You’ll be faced with Mother Nature and the worst she’ll have to throw at you.. probably at the worst possible time. This can be the difference between a comfortable and enjoyable ride (in spite of any ‘circumstances’), or in some cases far more serious. The knowledge that you’ve got everything you need inspires confidence to explore new places and push harder lines. 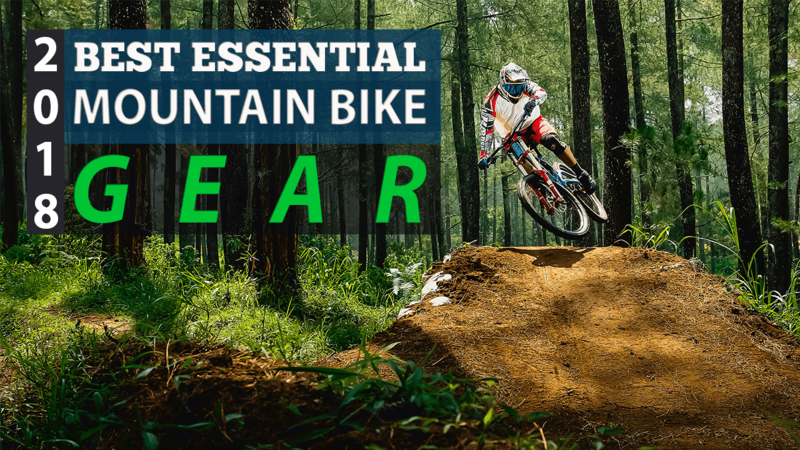 With that said, here are the most essential items to take with you to the trails. 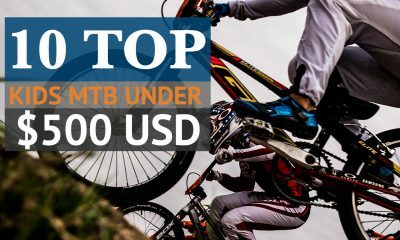 As all mountain bikers will know, riding (especially in summer) will be synonymous with sweating buckets, things can get a little intense at times but thanks to this backpack, you can push yourself to the limits without having to worry about it. 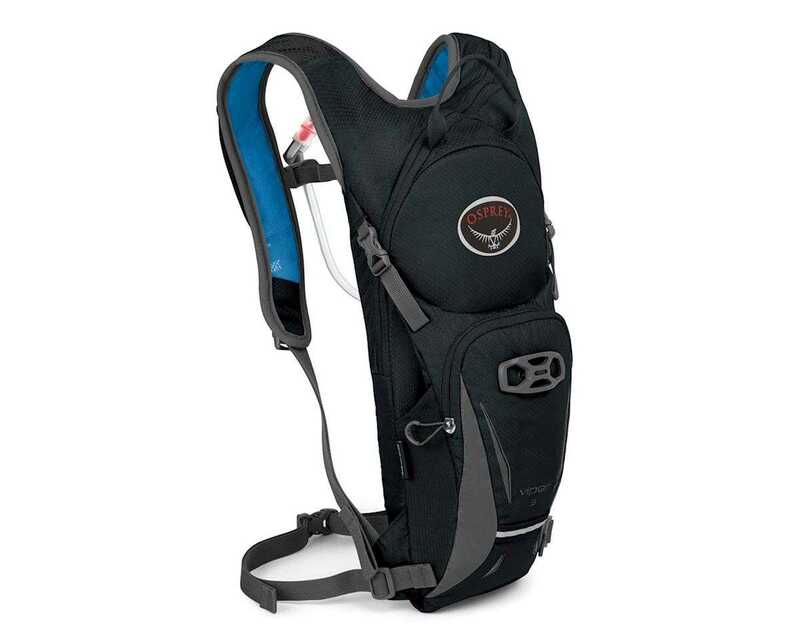 If you’re looking to go on a quick ride after a long day, the Osprey Viper 3 Hydration Pack will not only carry your water and protect your back (to some degree at least), but is also big enough to fit all the tools you might need without going overboard. It offers the suspension that is designed to help you be fast and light as you roll through the trails. Furthermore, its weight is spread across a ventilated mesh back panel, with a foam frame sheet, ensuring you have comfort and stability. It also has purpose built mtb features like the innovative LidLock helmet attachment system and the LT 2.5-litre reservoir, among others. It’s the best pack we’ve found for the money and our confident choice that will last you for years. 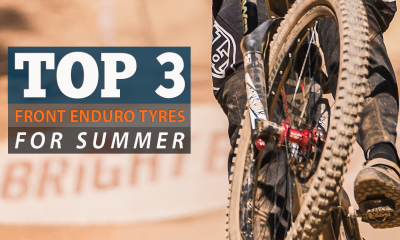 You will need a pump at some point for certain, whether you’re tubed or tubless or have ‘puncture proof’ tyres (we’ve heard that one before), there will come a time when you’re in desperate need of one. Probably at your furthest possible point from home – just as it’s started raining. 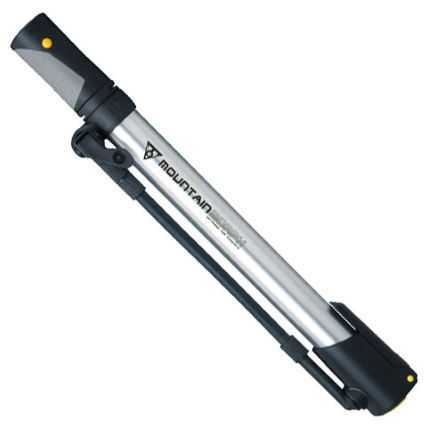 Our first choice would have to be the Topeak Mountain Morph Pump. It’s large volume and reliable valves make it like having a small, unconventional track pump in your bag. The high-volume barrel will fill your fat tires incredibly fast while inflation is a snap, thanks to the fold-out foot pad and the flexible hose. 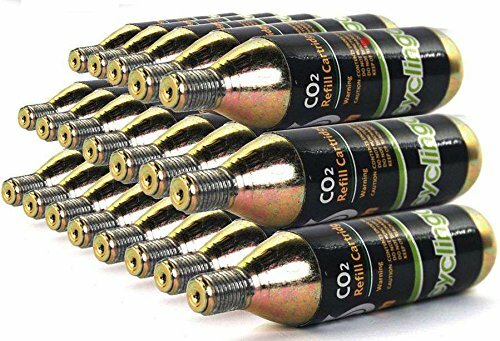 This also can make all the difference when trying to snap tubeless tyres back onto the rim with the sudden increase of pressure required. For such an essential piece of kit that you probably won’t ever be replacing (unless you leave it somewhere) – getting the Topeak or an equivalent should be a primary consideration. For lifelong workshop tools, Park Tool is the standard choice for the vast majority of bike shops and serious riders. This company sets the industry standard and the PFP8 Floor Pump definitely maintains it. 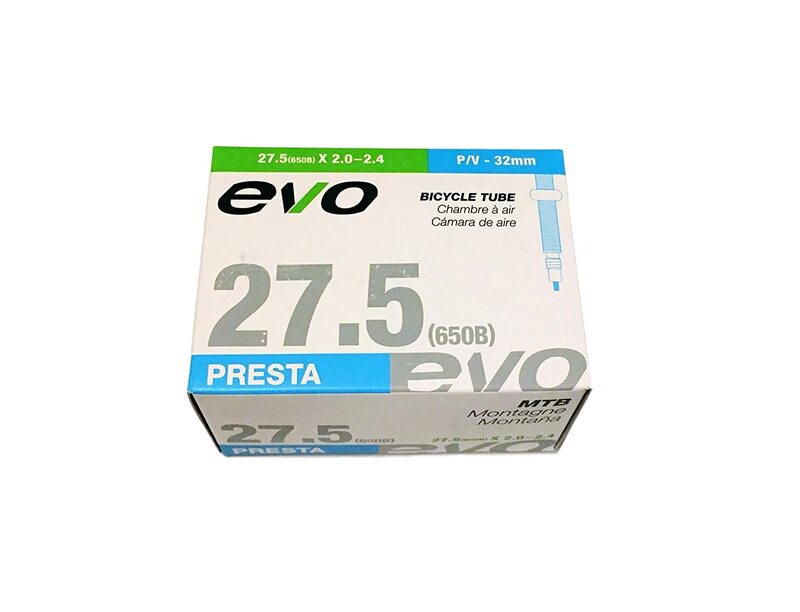 You can smoothly fit Dunlop, Presta and Schrader valves, without even thinking about switching any internal parts. A simple composite head makes sure of that. 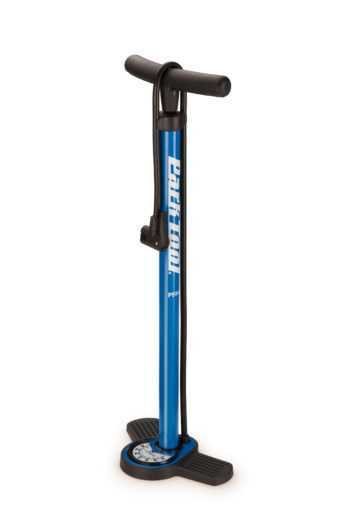 Also, with an incredibly stable steel base and huge foot pads, you can pump your tires in absolute comfort. Pedro’s Bench in a Box tools – Pedro’s worked a miracle and stuffed every tool of a home workshop into a single box. You have a hangable T-handled set of hex keys with more goodies than you could think of. This includes a T25 Torx key along with long 6,8 and 10mm ones, assorted Y tools and so much more. Keeping this small box in the car (with a few bits from it in your bag) would be optimal. (Ideally Fox) Gloves – Almost as important as a helmet, in any crash your hands will usually be the first point of contact with the ground and often the worst affected in a crash. Gloves such as those made by fox also include ‘sticky’ grips that will give you a better grip on your brake levers and interwoven metallic fibres in the fingers to allow you to use your phone with them on. Pads (knee) and (elbow) for the inevitable moment where you push a little too far, it’s important that you can bounce straight back up and carry on. Water – depending on the length of the ride I will take water bottles (preferred) or on longer rides I wear my camel back. Tool kit – I had a really good idea to put my tools in an old water bottle and carry it in the 2nd water bottle cage! I figured that someone else had that idea, and a product to go with it, so I searched amazon and sure enough, here is the little gem I bought! Keeps my tools off my back. 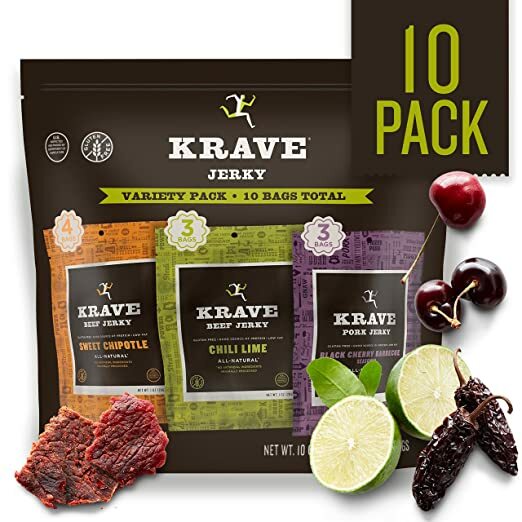 Food – I keep it simple and throw beef jerky and almonds in my riding shorts pocket. Spare tube and air – It only takes one ride getting a flat to prompt you to take these two items! both are in my tool bottle because I carry C02 cartridges for inflating the spare tube. Comfortable gear – everyone is different, so find the gear that you love. My favorite shorts to date are Troy Lee Designs. I wear a cross country jersey because I like the pockets in the back for misc things. Full finger gloves are essential! benefit of having a built in back protector. (I carry both) and tire levers. many, but my favorite is the Silka. It’s the Swiss Army knife of tools. snacks regularly will replenish your energy and will keep you from bunking. personally prefer chews because they taste good and get digested quickly. 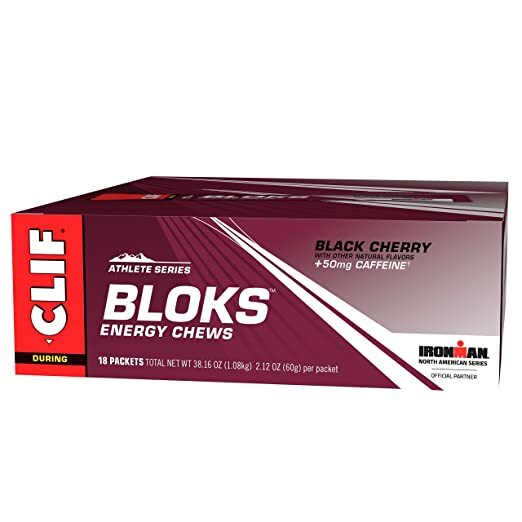 Clif shot blocks are my fave. Pedals are the primary point of contact between the rider and the bike and one of the most key parts for retaining confidence both in the air and over gnarly sections. 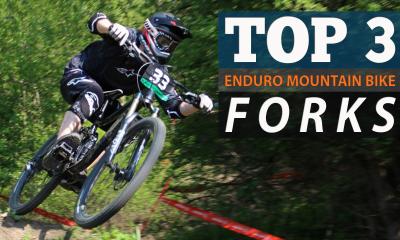 Different bikes have varying pedals for different uses, here we’ll focus on the pedals most suited to hard trail, downhill and enduro. There are generally two different types of pedals: flats and cleats/clip ins. The primary advantage of cleats is you can power the bike on the upwards movement of the leg as well as the downwards movement, allowing your legs to go for longer without tiring (due to more muscles being used) and giving faster acceleration as a result. They also offer more firm control of the bike due to more even application of power (no bouncing). 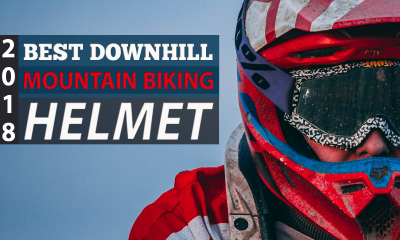 The primary advantage of flats is that they allow you to put a foot down if things get sketchy and give confidence as you can remove your feet in the event of a crash. This means that the confidence inspiring flats are often better for the novice rider as well as the more gravity focussed and give more scope for tricks. From the perspective of a notice they also will force a better riding technique – whereas clips give more of a potential to build up bad habits. Weight – For the racers or more cross country orientated riders. Durability – Key on the trail and is the main advantage of metal pedals over super light plastic compounds. Maintenance – How much you need to do to prevent them from falling apart. Platform Size – Will should match your shoe size for an optimal fit and so reduce the chance that they will strike the ground during a turn, larger platforms are not necessarily grippier – this is more down to the pins. Pins – The main factor determining the grip of the pedals – also the most likely pieces to be lost as a result of being smashed out. 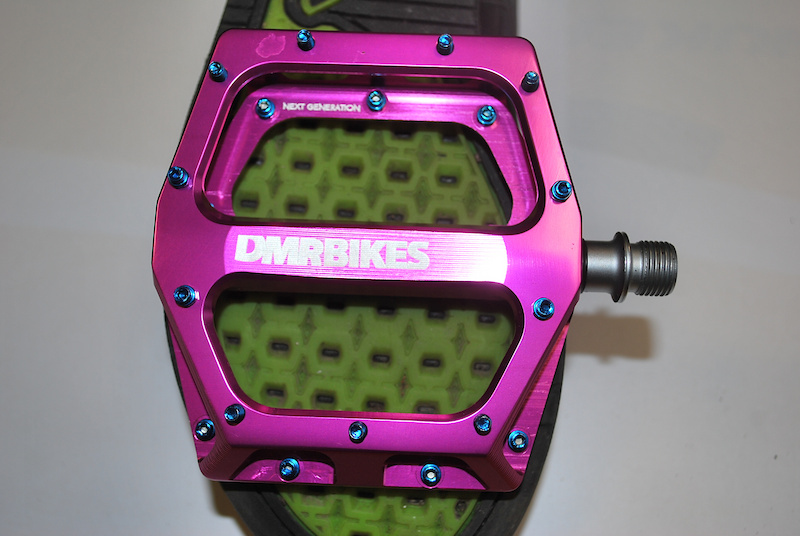 If you are looking to buy a new set of flat pedals here are our top picks. Grip – The pins of these pedals can be altered in height, allowing for a fully personalized setup, as the choice pedals of Brandon Semenuk it’s safe to assume the chromag scarabs will deliver all the grip and support you could want. The pins have also been designed with undercuts to give better grip than their counterparts. Weight – 430 grams per pair. 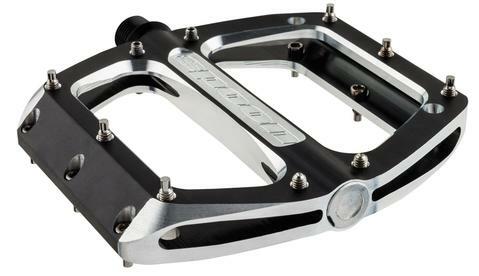 Durability – These pedals are known for being able to withstand serious abuse and are shipped with 12 additional pins both for customization and replacement should any be lost. The frame has a slim design bearing in mind the large platform size which definitely makes it a better choice for people with larger feet. 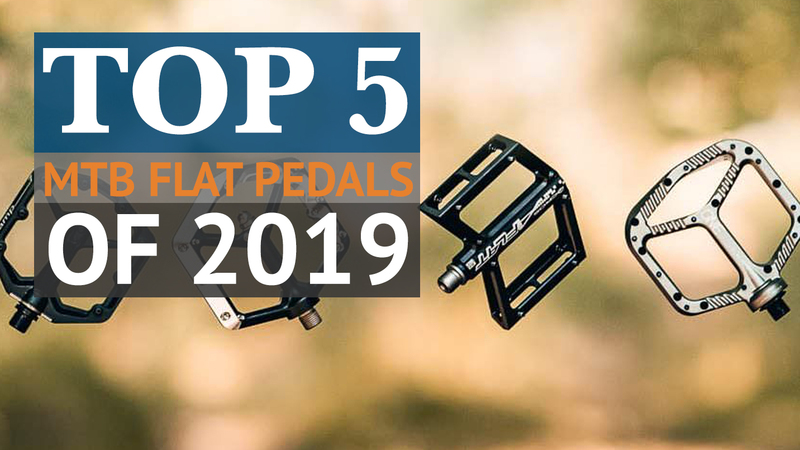 Grip – the pins are shorter than those on some of the other pedals on this list, however this is compensated for with the superb and widely appreciated design of the concave platform, which also seems to clear of mud miraculously quickly. The pins are screwed in from the underside and are easy to add and remove as needed, with the only point of care being sourcing the exact pins themselves (these cannot be replaced with regular machine screws). Overall though the pins are a positive point for these pedals as if they are damaged you won’t need new pedals and new pins are cheaply available. Durability – Some people seem to complain about the sealed bearings wearing quite fast, meaning lateral play in the pedals could develop sooner than you might expect – which would result in a less controlled, less stiff and ultimately less efficient ride. 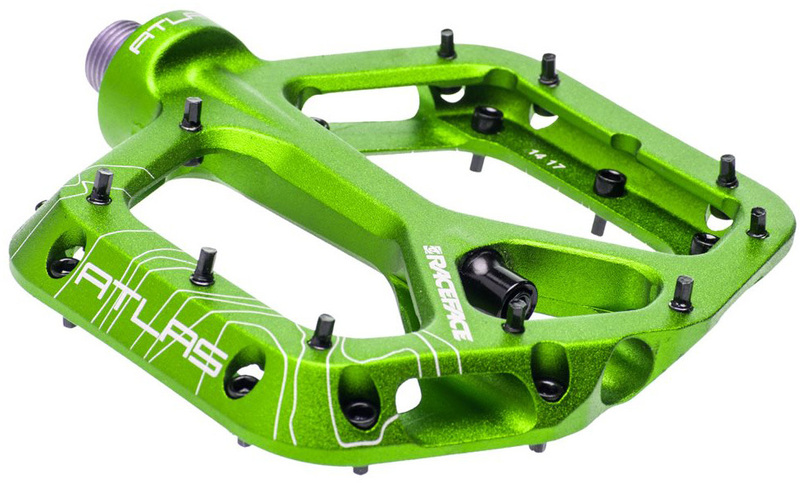 This is not a huge issue as 1) the play that develops should not be noticeable and 2) RaceFace offer a great warranty system so spares or replacements will always be at your fingertips. Be sure to keep the bearings topped up with grease if you want to try and avoid this. Grip – The slim, concave body of the swank spoon has 10 replaceable pins on each side. Longer 14mm pins at the front and back of the pedal with the four 12mm ones in the middle. Durability – No complaints here from us or anyone else it seems, these pedals are reliable enough to withstand a full season of aggressive riding with no maintenance whatsoever. Even at the highest level you can expect pedals to come in one shoe size, which, if you are lucky will broadly match your shoe. Spank have created the Spoon in three sizes to eliminate the luck involved and allow you to get a pedal better suited to you. At an intermediate weight of 420 grams and a very reasonable price, the Spoons are one of the cheaper metal frame flat pedals available, which was quite surprising considering the overall quality. 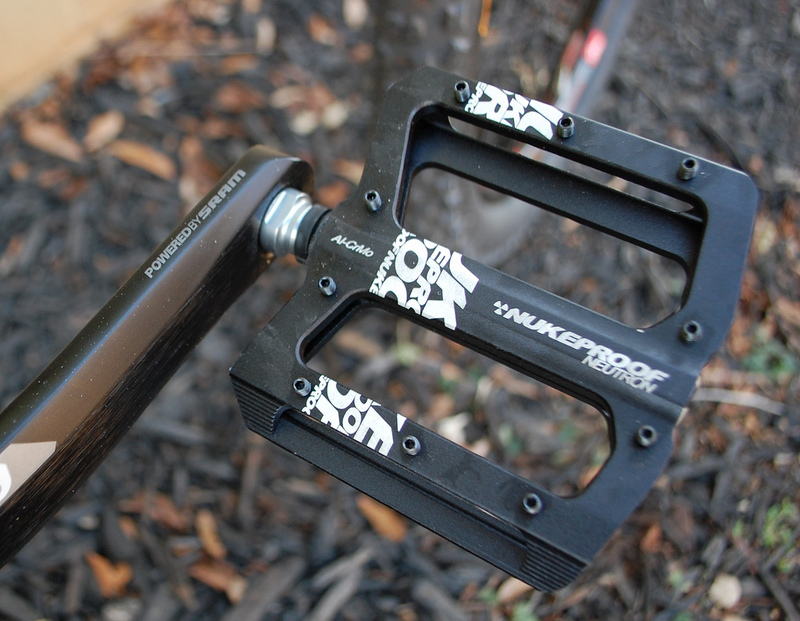 We would suggest the Swank Spoon’s are the best flat MTB pedal you can get for under $100 and an excellent choice for someone getting into the sport – the price making the customization with the size even more surprising. DMR have been making pedals since 1999, and their experience in the industry is clearly shown in the pedals they are producing to this day. 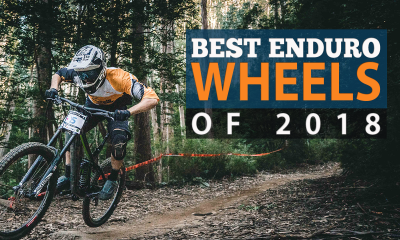 Reliable, top end performance machines that have never been critically flawed (or indeed flawed to much of an extent at all) and would have made this list had it been written one, three or four years ago. Durability – Their latest DMR Vault has made the rear of the platform slightly narrower than the front. The chamfered ends deflect impacts and allow the pedal to more easily slide between narrow gaps. As with the other entries on this list – you can expect these pedals not to attract or retain mud. There have been some complaints about the durability in terms of the anodizing on the pins and a couple of more serious localized issues (we’re taking about 1/100 at most) – however this is all covered by warranty so there is nothing to worry about there. In terms of the pins that is really not an issue to us (unless you really do care about blue pins) as this wear was always going to happen and is only noticeable due to the color. Grip – The combination of a broad platform with concentrated pins means the pedal will grip your foot well even if you don’t get it perfectly on first time. The body is concave in shape, (in a similar way to the spank spoon) so you’ll have maximum grip and contact with your shoe. The Vault uses 11 pins, 7 of which are reversible, with one end a few millimeters longer than the other. The idea here being that you adjust the aggression of the grip in accordance with your shoes. This does seem to have contributed to one of the flaws of this pedal – being that the addition of this means that pins are more likely to become loose and be lost. Hope design, test and build their pedals in the wild, wet and muddy north of England, which creates an almost unique set of worst case conditions for parts like the pedals – which need to be as reliable and resistant to the weather as possible. Through this Hope have created some of the most reliable parts in the industry that for many users will never be tested to their real limits of durability. 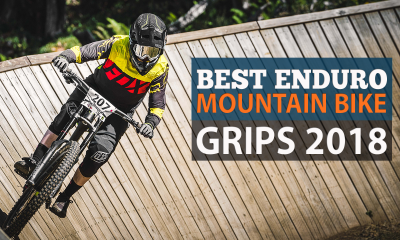 Grip – This has been the biggest gripe most people seem to have with these pedals, the question you may find yourself asking would be whether the strongest, best looking grips are worth this shortfall. It can be increased by using the central pins at the expense of a less concave platform. Durability – The grim northern conditions are counteracted by sealed cartridge bearings that should keep spinning smoothly for many years. The body is beautifully designed and has the slightly concave shape that you can expect from a top end pedal in this day and age. The F20s are certainly a great looking pair of pedals that seem to go especially well with bikes that have more ‘matt’ frames. 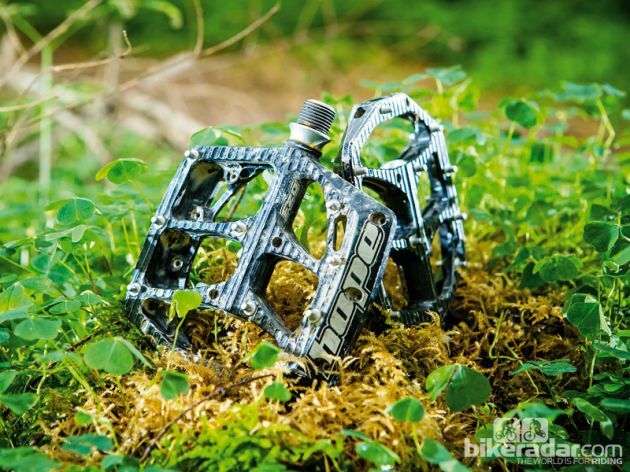 If you want to enjoy reliable class leading grip and performance for tame to aggressive trail riding at a fair price then these pedals are the place to go – as one of their class leaders that not only excel at their function but look good while doing it. It’s easy to get too caught up in how many carbon parts you have and what tires you bought not so long ago (and probably need replacing). 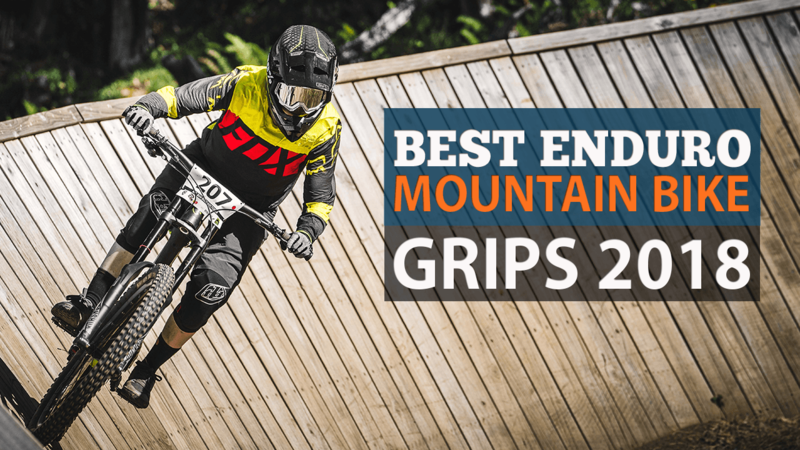 But we tend to forget that we interact with the grip throughout 99% of mountain bike riding. A set of good grips will keep your hands in their place, reduce the effects of vibrations and make your ride all the more comfortable. Here are our top 5 choices of the year, which do just that! 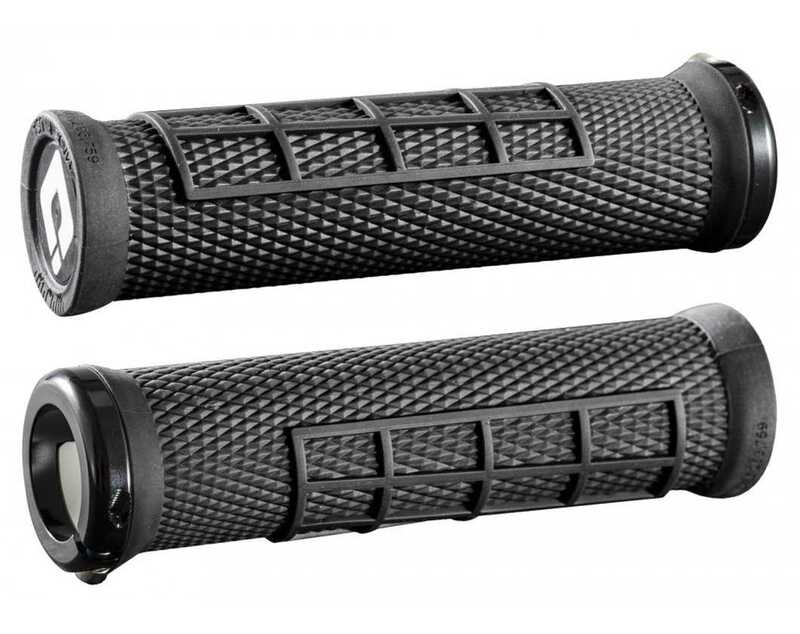 Note – We have excluded foam grips from this list as while they are lightweight and can feel comfortable in the dry, they become dangerously slippy in the wet and break apart much more easily with time and crashes. A solid ergonomic grip without any funky or oddly shaped patterns. 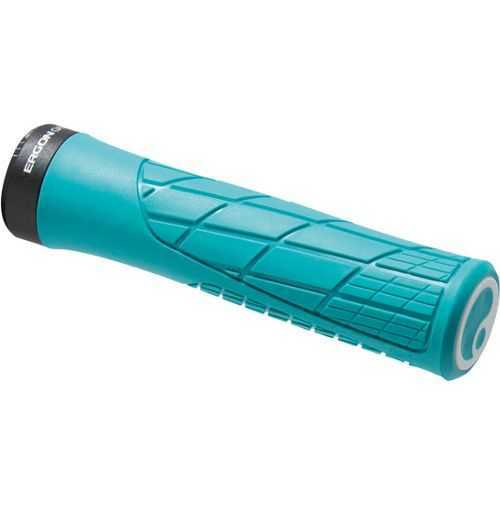 The Ergon GA2 allows your hands nestle into just the right spot as soon as you touch it. The grip is soft (and quite smooth) without gloves on. However, this smoothness isn’t as advantageous when your hands are sweaty as it can get a bit slippery when exposed to moisture. 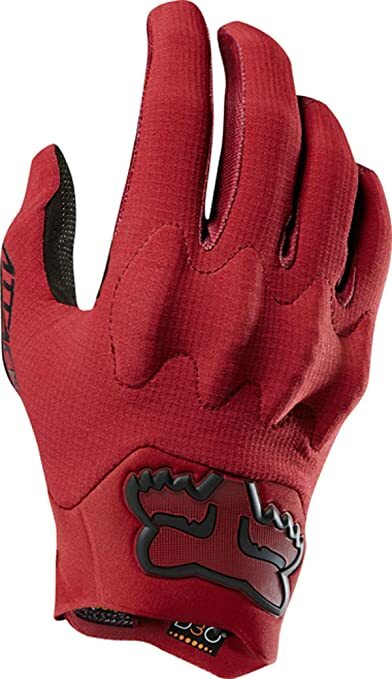 With that in mind, it’s still a great ergonomic fit that effectively minimizes hand fatigue on most trails. 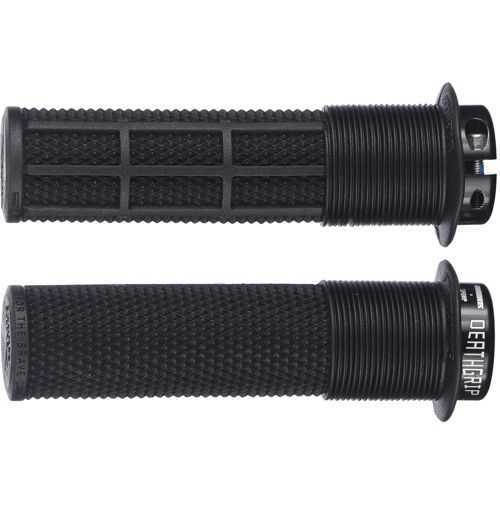 The compound they have chosen also gives a lot of damping comfort (bearing in mind the thickness), which allows you to feel more in control through less strain on your forearms. 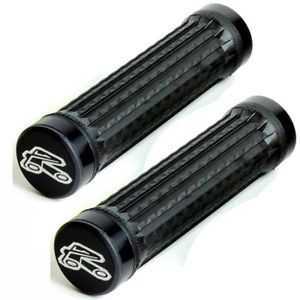 It is also worth noting that as well as being avaliable from chainreaction and wiggle, these grips are also avaliable with next day delivery from Amazon and were voted ‘Amazon’s Choice’ through the number of positive reviews.